I DARE you to make less sense! big music. nice melodies... keyboards. this stuff (trance music in general i'm talking about) is just too damn good! Great set! I've liked 4Strings ever since I started listening to AH. 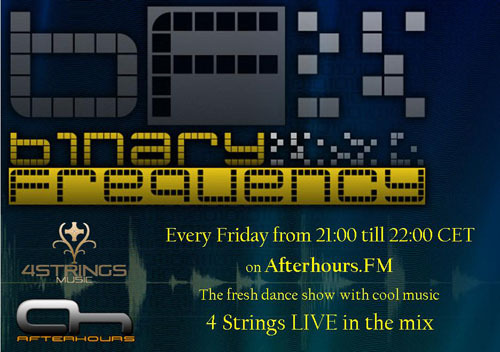 Hello, I am listening to this show with Jan (DJ 4 Strings) next to me. Leen: "Hello, I am listening to this show with Jan (DJ 4 Strings) next to me. " that is great!--enjoying the great music w/a good friend & beers. NICE!